Our premier lodge offers top-notch accommodations, while retaining the rustic charm that is synonymous with Pathfinder Ranch. 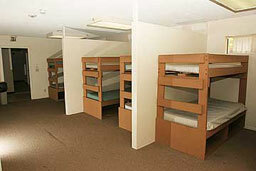 There are six individual rooms that are furnished with four bunk beds, a desk and chair. 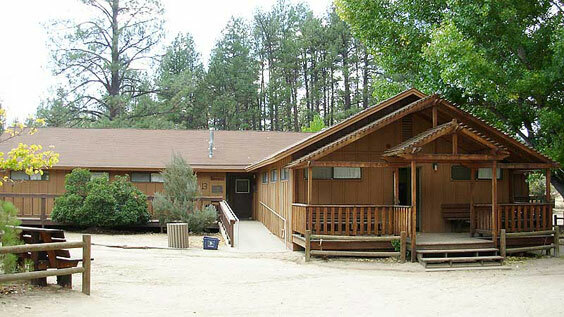 Each wing has it’s own restroom and showers with four rooms in one wing and two in the other. 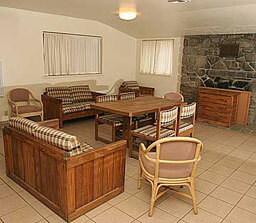 This lodge also has a large lounge area with cozy seating and a kitchenette area with a refrigerator and microwave. It is perfect for housing group leaders or keynote speakers. 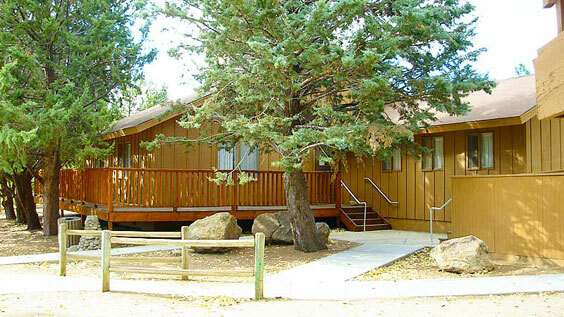 With a beautifully latticed front porch, this cabin is one of our visitors’ favorites. There are 28 beds on the Longhorns side and 24 on the Buffaloes side, for a sleeping total of 52. There are two separate showers and restrooms which allow for co-ed use if needed. 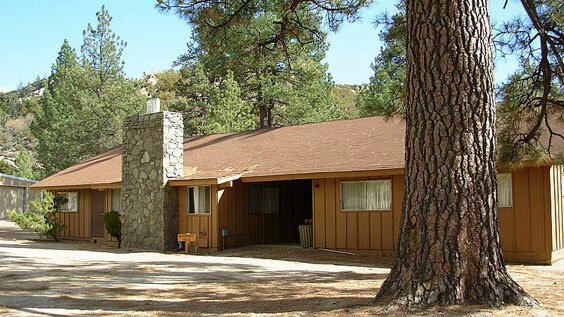 Cozy and rustic, Smith has all the charm needed for a relaxing mountain retreat. 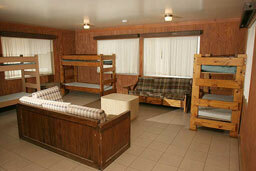 With seven bunks in both wings (Appaloosas and Buckskins), and four lobby bunks, it sleeps 32. 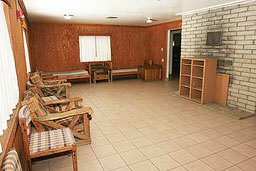 There is a centrally located bathroom and shower facility. Smith also has a lounge, perfect for informal gatherings or small breakout meetings. One of our large dormitories, ten bunks in both the Arabians wing and the Mustangs wing plus four in the lobby allow comfortable sleeping accommodations for 44. 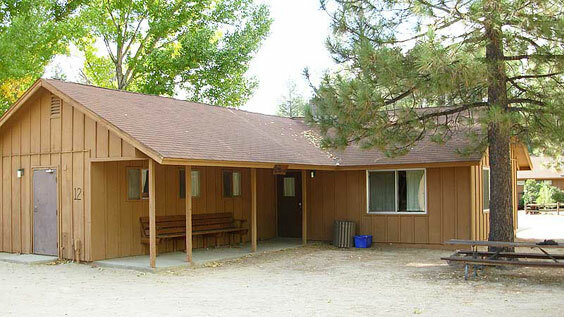 There are two separate showers and restrooms for co-ed arrangements if needed. There is a large lounge in this cabin equipped with couches and chairs. 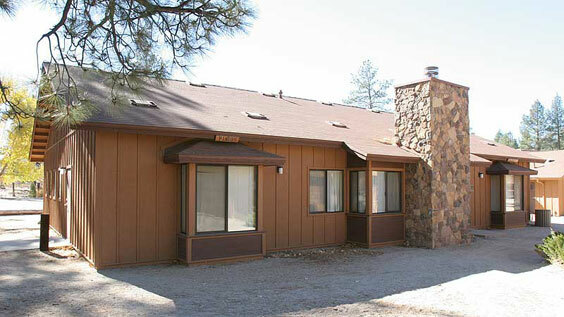 Our newest cabin, Pathfinder Lodge, sleeps 20 in each wing (Pintos and Palominos). 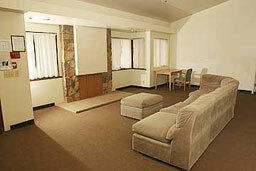 It features a large, comfortable lounge and two centrally located bathrooms with showers. Each wing offers a private room with 4 beds.